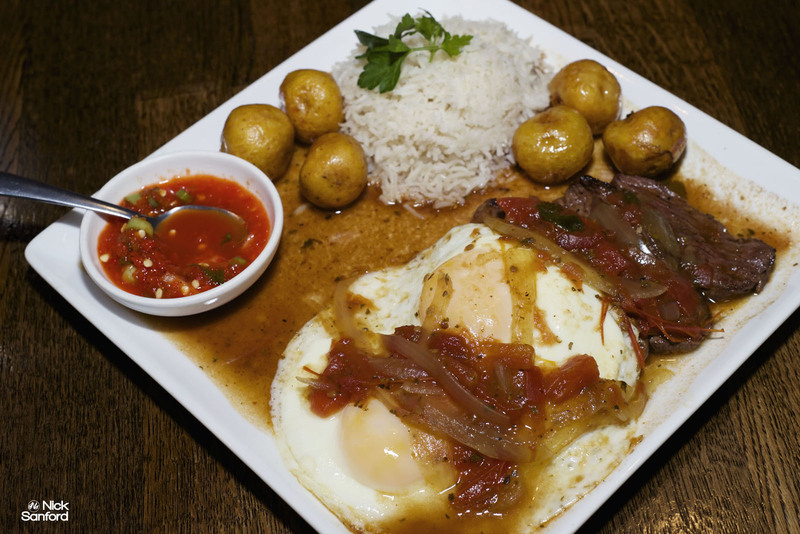 Andes Café is a South American restaurant that has united the flavors of Peru, Bolivia, Argentina, Chile, Colombia, Venezuela, and Ecuador where the owner David Guerrero is from. To start off, I ordered their combo ceviche, which is off the menu. 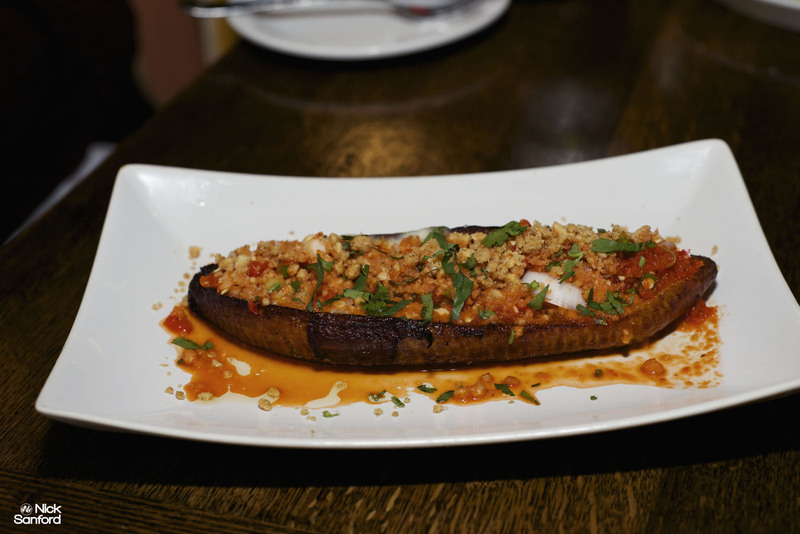 It was a blend of the pescado, shrimp and black mussels (however, they ran out of the black mussels that day). The ceviche was so fresh and smooth. You can definitely taste lime and salt in the dish. I for one am not a huge fan of salty food, but this tasted so good. I highly recommend you can get the combo or if not, go for the pescado. 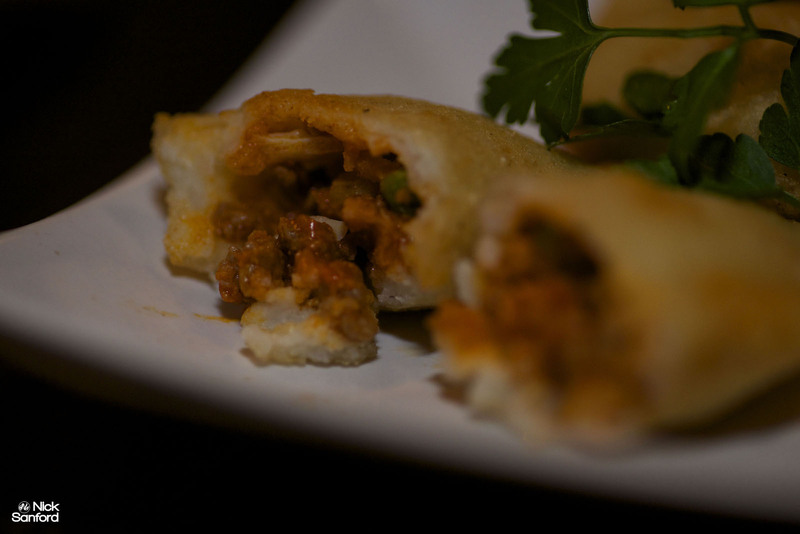 I haven’t had all of the appetizers just yet, but the Empanada de morocho was one of the best empanadas that I’ve ever tasted. The filling was delicious, and the sauce was perfect for it. 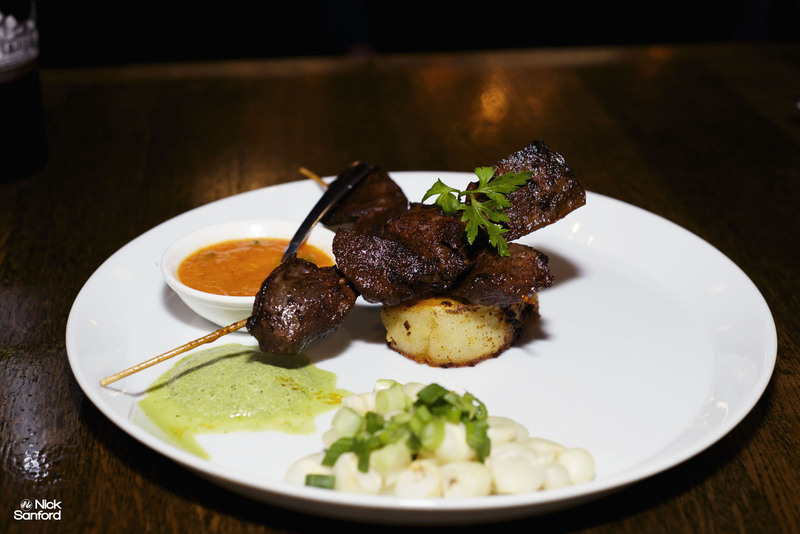 The Anticuchos is a beef dish that I would have preferred to be a more tender, but when you combine each bite with the flavors of the “crème de Huacatay” (Peruvian black peppermind aji sauce) you get a really nice bite in your mouth. I liked this appetizer a lot. 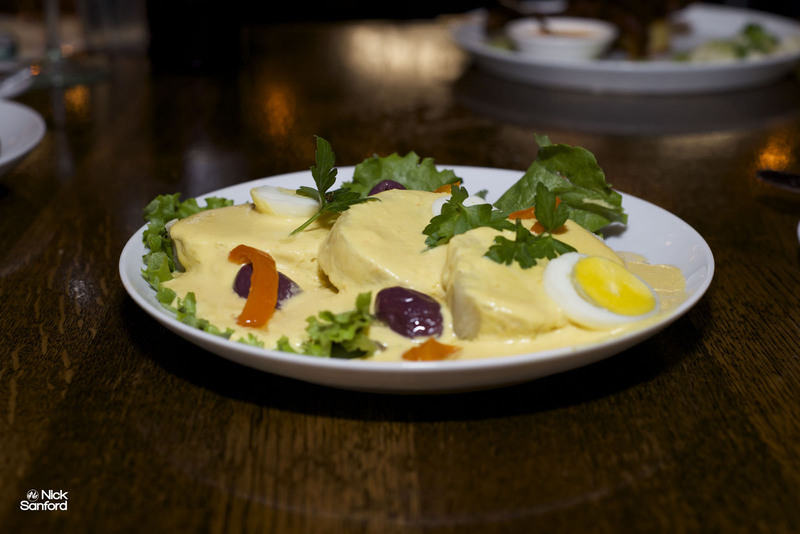 The Maduro Asado Con Queso was the all star of this appetizer list though. 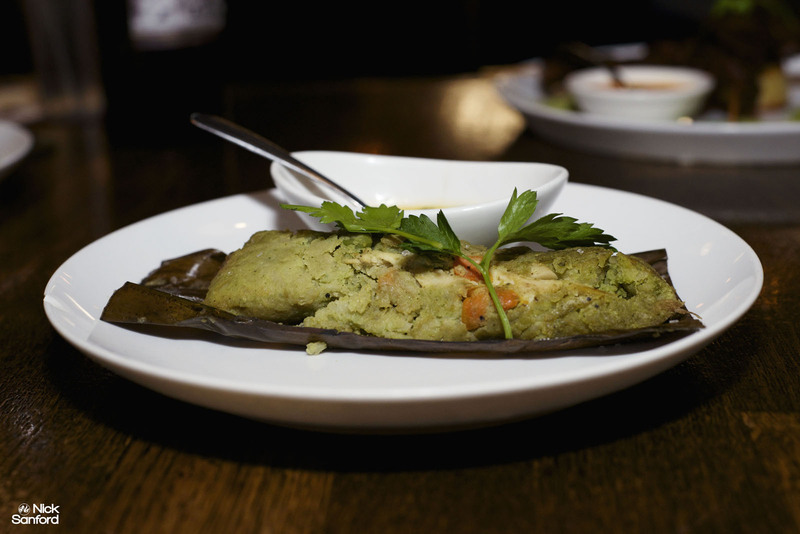 This Ecuadorian dish is a whole baked sweet plantain stuffed with melted quesillo cheese, topped with sal prieta “condiment mix with peanuts” and aji criollo. 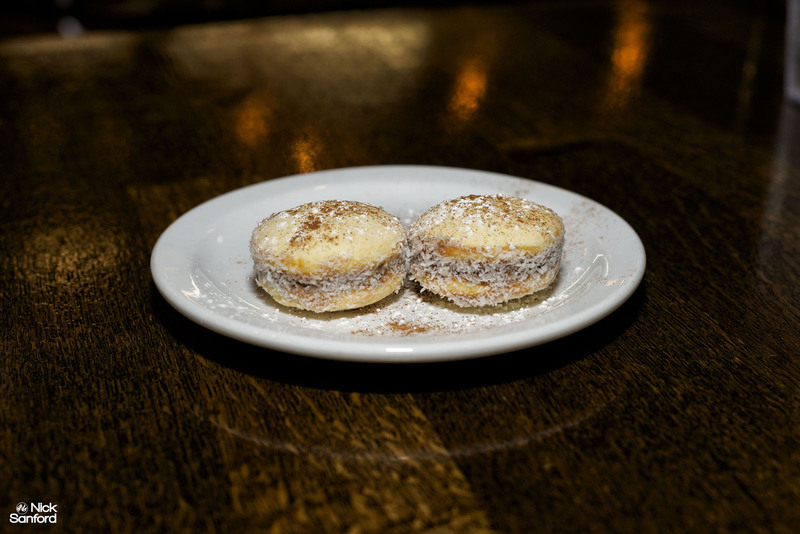 That thing has a fantastic combination of contrasting flavors of sweetness and a little spice, which is what I love about South American food. 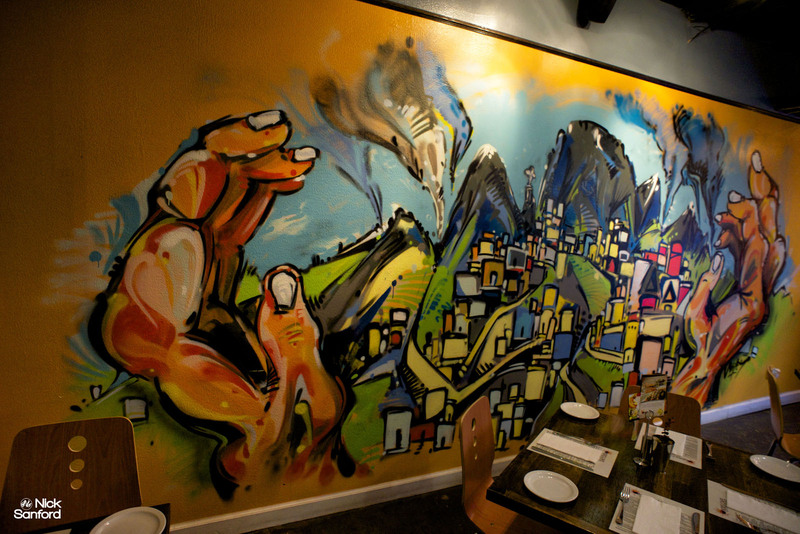 You simply have to order the Maduro Asado Con Queso when you step foot into this restaurant. We only had one entrée which was the Pabellon Criollo which is a traditional Venezuelan dish consisting of shredded ank beef, with carrots, black beans, white rice, and tajadas (fried plantains). Two fried eggs are served on top as well. The dish was really tasty. 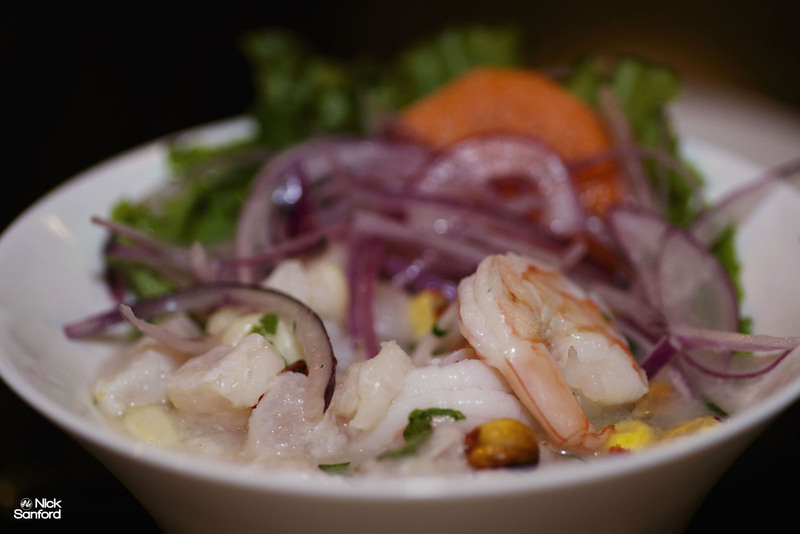 It had a strong salty flavor in this as well as the ceviche, but it worked really well in this dish too. The meat was really tender and the combinations of flavors came together really well. The chocolate flan was the best flan I had ever had honestly. 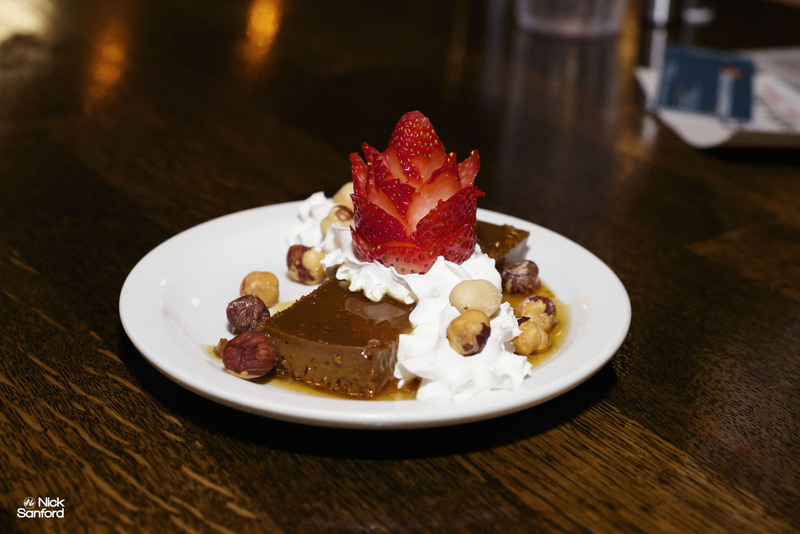 I’m not even a big fan of chocolate, but the combinations mixed with the strawberries and other ingredients really made it a flavorful desert. I liked that instead of a typical flan with nothing else added for texture and added flavors, which is something I like to see most chefs strive for in 2015. Over all, I loved this place. The owner treated us really well and discussed the food with us for a while. Michael Guerrero was a class act as well as a great chef. I can’t wait to go back!